Recently Hollywood Reporter reported some major DC Comics movie news . “ Reeves'The Batman has been one of the most closely watched superhero movies in development. Ben Affleck is the most recent actor to play the Dark Knight in movies such as Batman v. Superman: Dawn of Justice (2016) and Justice League (2017), but his future as the character has been in doubt since July 2017, when sources told The Hollywood Reporter he was unlikely to continue on in the role after Justic League. 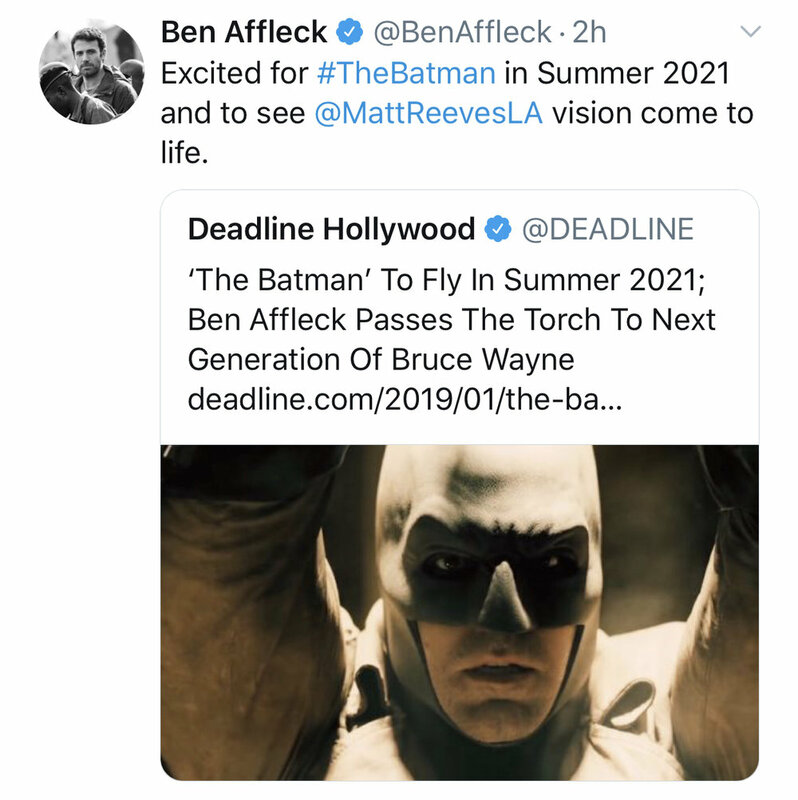 On Wednesday, with the announcement of The Batman release date, Affleck shared a tweet thatTHR has confirmed is the actor saying goodbye to the role. “Sources say that Gunn’s focus is to take the franchise in a new direction with a mostly all-new cast of characters and actors. Sources also say that the project is also very much rooted in Gunn’s vibe, as seen in theGuardians movies. Currently we don’t have confirmation that any of the movies above will be presented in 3D. The last several DC comics movies ( Aquaman, Justice League, Wonder Woman , Batman v Superman, etc) have been in 3D but Teen Titans Go the Movies was 2D only .